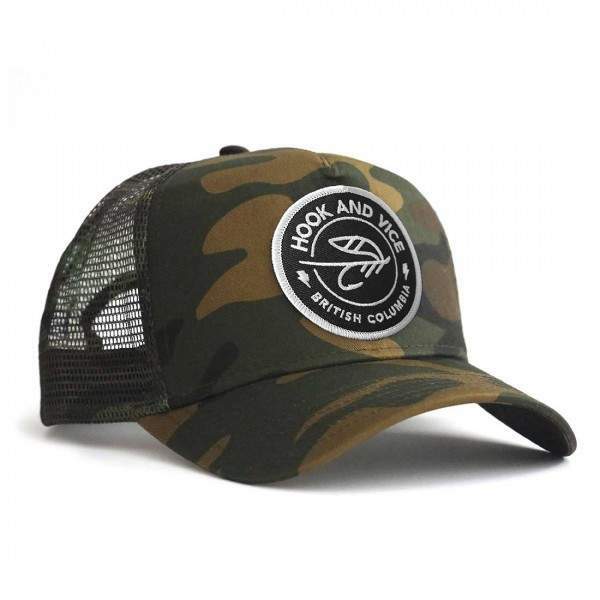 Canvas Flat - Hook | Hook And Vice canvas flat brim lucky cap. 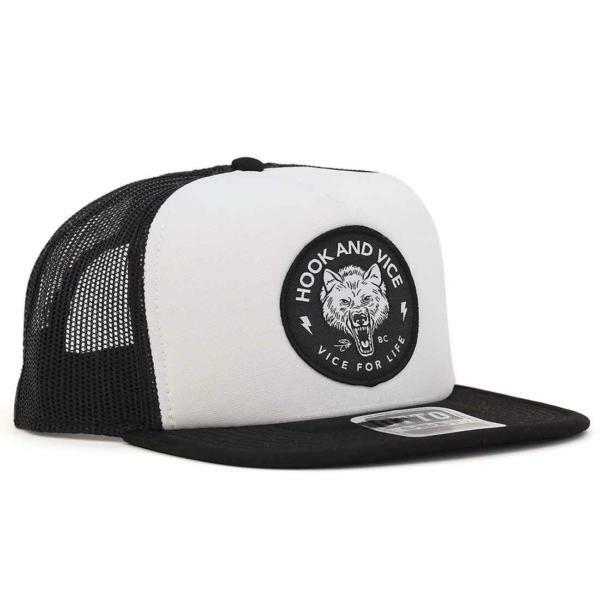 This Screaming Bear Canvas Flat cap is a classic. Black on black just the way Johnny Cash would have wanted it. 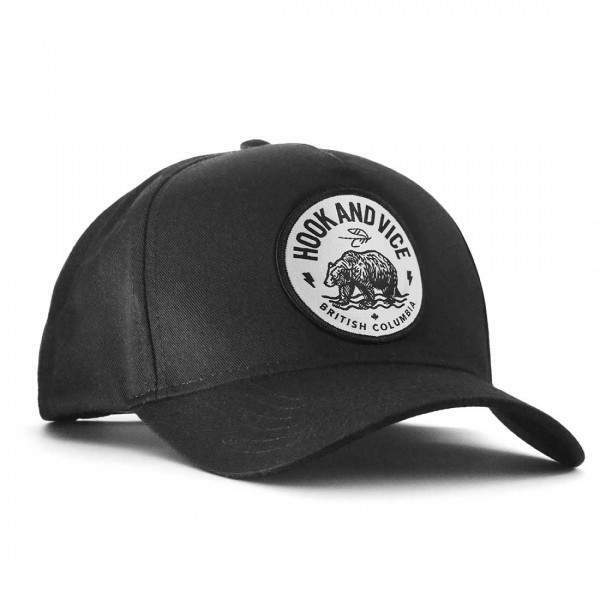 Perfect for Summer days on the lake, and hiking rivers in search of adventure and good times.